Customize and design like any other room in your home. Garage storage is a fundamental part of every home. Why have storage solutions that mismatch and don't work well together? Our designs are created to work together in unity to give you the best garage storage on the market. We want you to have a garage makeover in Central New Jersey that looks as nice as any other room in your home. We offer two powder-coated finishes, Granite Gray and Desert Stone to choose between for your shelves and overhead racks. These products are a great addition to any storage plan. Everything we offer is designed to match perfectly including our hooks, cabinet handles and other accessories which are available in our Graphite Pearl finish. Coordinating finishes help bring the garage together for a sleek look. Our cabinets are custom made to fit your garage perfectly. To give you the look you want we offer several cabinet finishes, combinations and designs. Our cabinets are made with industrial-strength that will last for years to come while still providing a sleek, professional look. 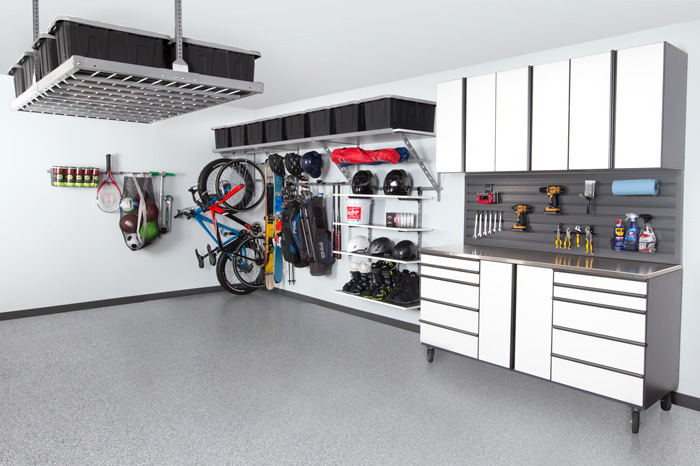 Choose from ten of our custom floor finishes to bring your garage together seamlessly. We have learned that the best garage storage systems are easy to maintain and efficient. 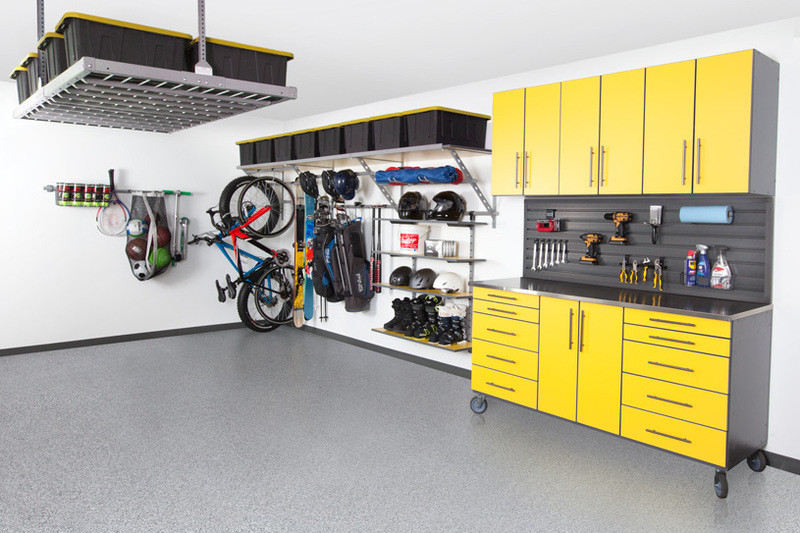 Having a garage system that works together increases space and organization. We offer the best products available across the market that will last a lifetime. We want you to have a garage makeover that will fit all your storage needs while still looking great. The best part is we offer this to Monmouth County homeowners at a competitive price point. We are the only authorized distributor of Monkey Bar products in Monmouth County. Across the nation, we lead the market with our state of the art garage designs. Our products are built to store more in less space and hold maximum weight. Our patented products ensure that you will have a garage system that will last for years to come. Visit our line card gallery to discover the possibilities for your next garage transformation.